(Newser) – The operator of the tsunami-wrecked Fukushima nuclear plant has begun removing fuel from a cooling pool at one of three reactors that melted down in the 2011 disaster, a milestone in the decades-long process to decommission the plant. 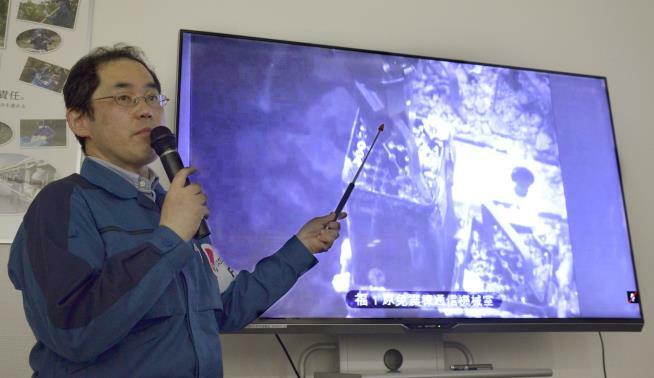 Tokyo Electric Power Co. said Monday that workers operating from a control room more than 500 yards away started removing the first of 566 used and unused fuel units stored in the pool at Unit 3, the AP reports. The fuel units in the pool located high up in reactor buildings are intact despite the disaster, but the pools are not enclosed, so removing the units to safer ground is crucial to avoid disaster in case of another major quake. TEPCO says the removal at Unit 3 will take two years and will be followed by work at the two other reactors, where about 1,000 fuel units remain in the storage pools. Green Gloom and Doom Science.. Does NOT Believe that Man can continue to Evolve in a Positive fashion.. This suggest that Scientist should not believe that Past Positive Evolution was possible.. Because there is too much opportunity for positive evolution to go sour.. Consistent Positive Evolution is Statically Impossible.. That pretty much PROVES there was Intelligent Design..
Heck of a time for a bad case of hiccups.